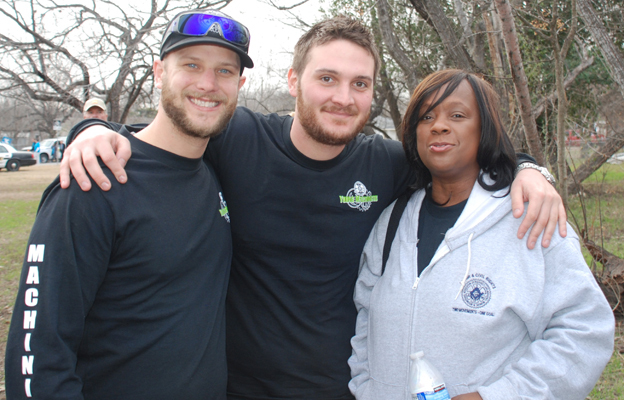 From left, Young Machinists Dan Janssen and Stan Dolnicek of Ontario, Canada Local 2323 pose with IAM General Vice President Diane Babineaux before the 2014 Martin Luther King Day March in San Antonio, TX. A Young Workers Pilot Program will be held from August 3 to 8, 2014 at the William W. Winpisinger (WWW) Education and Training Center in Hollywood, MD. Enrollment forms for the program must be completed and returned before July 1, 2014. Click here for the call letter and enrollment form. Click here for a flyer promoting the class. The class will build upon the success of the Young Machinists program, which has coordinated focus groups, hosted young workers meetings, formed Young Machinist Committees within lodges, lobbied on issues relevant to the working class, performed community service outreach, and supported striking IAM members.